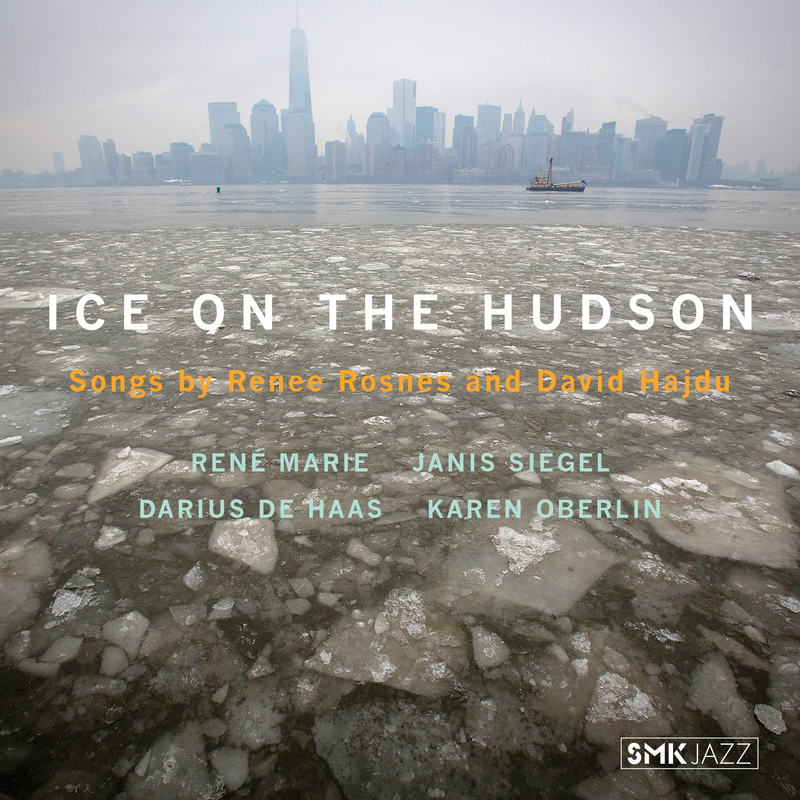 Ice on the Hudson, the first album of songs with words by Hajdu and music by Renee Rosnes, was released on October 12, 2018 on the SMK Jazz label. An album-release concert followed at Birdland in New York on October 15, 2018, featuring all four singers on the album and the musicians Renee Rosnes, Steve Wilson, Rubin Kodheli, Sean Smith, and Carl Allen. Musicians: All songs with Renee Rosnes (piano), Sean Smith (bass), Carl Allen (drums). Music composed and arranged by Renee Rosnes. Words by David Hajdu. No one working in the jazz idiom has ever attempted to write songs like these. They stretch well beyond the boundaries of jazz songwriting as we know it from the work of artists such as Jon Hendricks, Oscar Brown, Jr., and Bob Dorough. 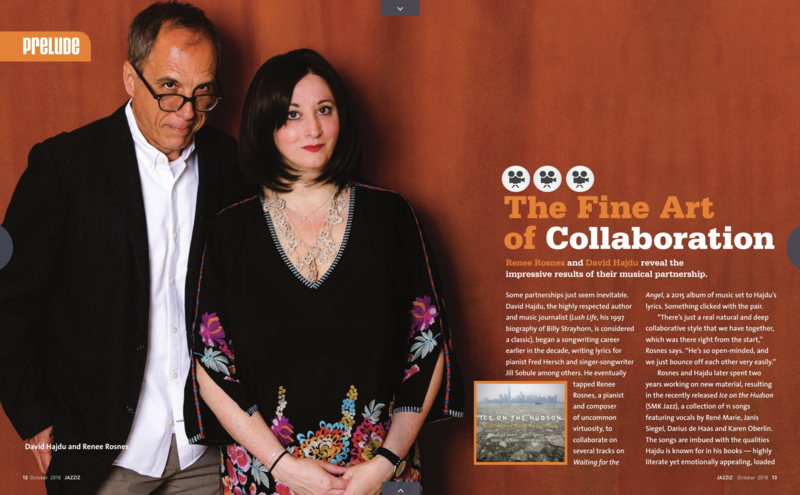 I hear echoes of such outstanding musical-theater writers as Stephen Sondheim and Jason Robert Brown, as well as Joni Mitchell, Randy Newman, and their peers among the best singer-songwriters. The songs on Ice on the Hudson are remarkable and could be written by no one other than Renee Rosnes and David Hajdu. Rosnes, the composer of this music, and Hajdu, the lyricist, had long and successful careers on their own before they started collaborating, about five years before the making of this album. 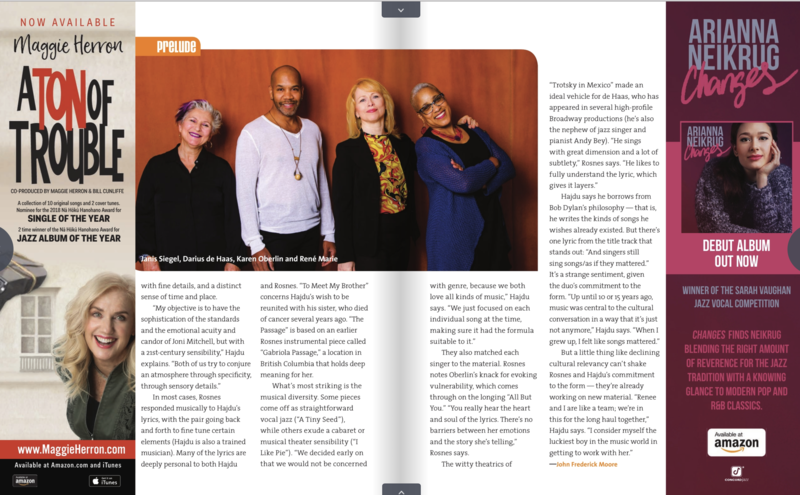 Rosnes has been world recognized as a major jazz pianist, composer, and bandleader; Hajdu has been esteemed as an award-winning critic and historian of music and culture. I've known them both and admired them for many years. Taking in this smart and complex, barrier-breaking music, I have come to the realization that their long separate histories explain how this team of recently united collaborators have been able to make the music they have made. Their deep experience with many kinds of music, tapped and employed with the high standards they have always applied as a musician and a writer, has made this work uniquely rich.